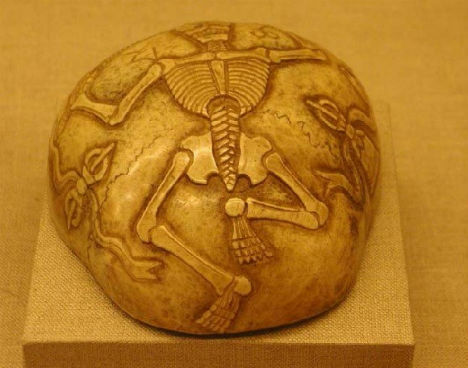 What bizarre and terrifying ‘treasures’ from long-gone ancient civilizations are still hidden in crypts, caves and deep within the earth? Most archaeologists may spend their days painstakingly brushing sand off pieces of pottery, but occasionally, they unearth evidence of the darker side of humanity – cannibalism, sacrifice, mass murder, deadly paranoia about vampires and witches, and even chemical warfare. 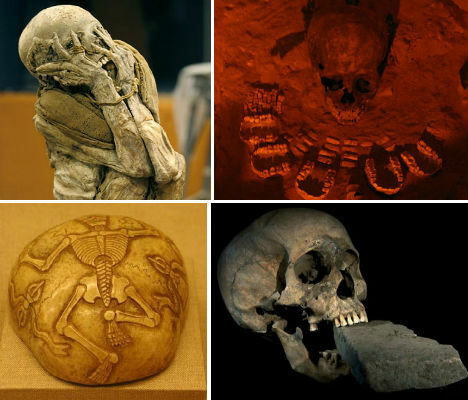 These 15 archaeological finds of ancient human remains are among the most grisly, frightening and fascinating. 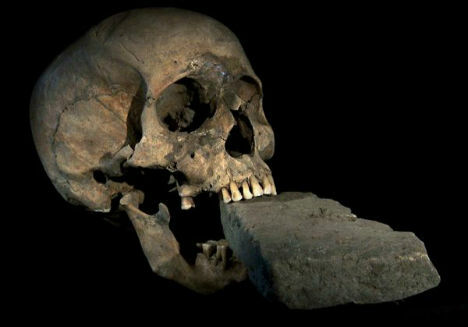 Among the corpses of medieval plague victims was one very curious find: a skull with a brick shoved so forcefully between its jaws, they were broken. The technique was used on suspected vampires in Europe during this time, especially when natural biological processes after death resulted in dark blood-like liquid streaming from the mouth. Researchers have determined that not only was this elderly woman feared a vampire after her death, she may have been accused of witchcraft before she met her end. Most people didn’t live to be her age, estimated at 60-71 years, and many medieval Europeans believed that the devil gave the elderly powers to cheat death. Older women were particularly suspect because it was assumed that they had little to live for, and were vulnerable to offers of power. Imagine opening a sarcophagus to find a mummy that seems to be screaming for all eternity. 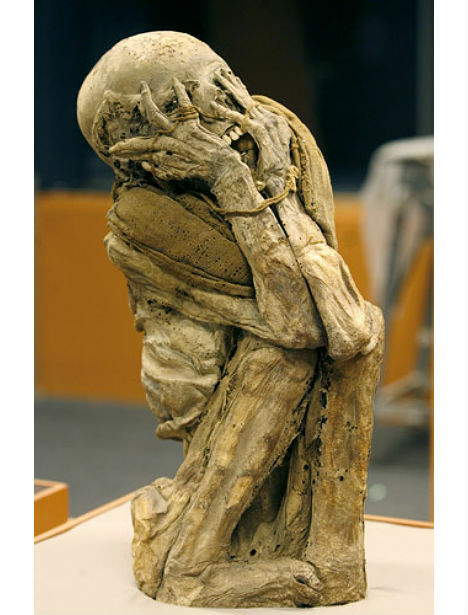 In the past, when ‘screaming mummies‘ were discovered, archaeologists assumed that they must have been buried alive or killed in some other painful manner. Now, however, they usually agree that mummies are commonly found with their jaws open due to their heads falling back after death. The most famous screaming mummy is Unknown Man E, an Egyptian mummy found in 1886, who could be the murderous son of Ramses III. Another is even more shocking, with its hands covering its face in apparent terror; it was among the remains of the Chachapoya Indians of Peru. 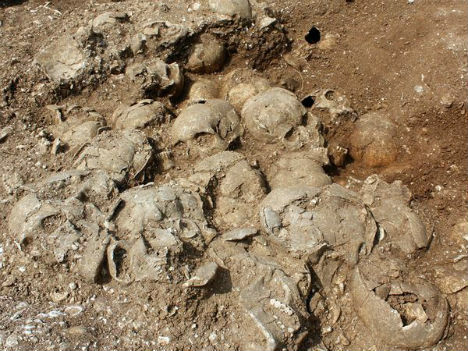 Evidence of a shocking massacre was discovered when archaeologists unearthed 51 thousand-year-old skulls – along with another pit containing their headless bodies – in Weymouth, UK. 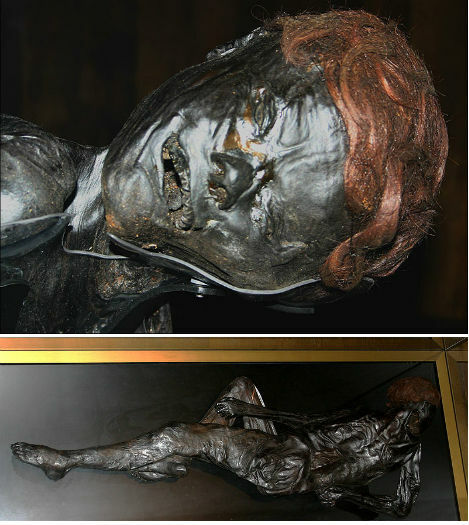 Found in 2009, these young male Vikings were brutally slain sometime between 910 and 1030 CE. Analysis of their teeth confirmed that they were from Scandinavia. 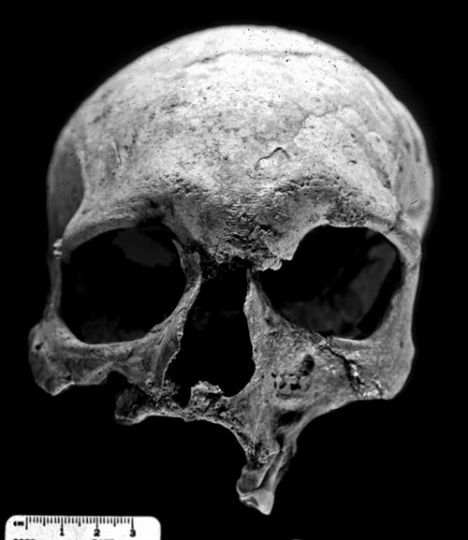 They were likely war captives of the Anglo-Saxons, executed by having their heads hacked off. 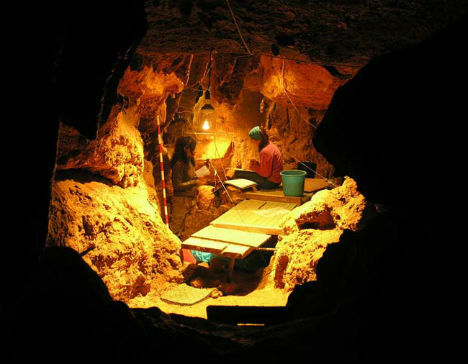 The bones of twelve neanderthals found in a cave in Spain were cut and snapped, indicating that they were likely ‘processed’ by fellow neanderthals as food. The possible family group, which included three adult males, three adult females, three adolescents, two children and an infant, is one of the most significant examples of cannibalism among neanderthals. “There are many different markings in many different bones in all 12 individuals, including traditional cut marks to disarticulate bones and remove muscle insertions, snapping and fracturing of long bones to extract the marrow,”researcher Carles Lalueza-Fox told LiveScience. How and why were the bones of nearly 100 infants discarded like trash in a late Roman, early Byzantine sewer beneath a bathhouse in Israel? 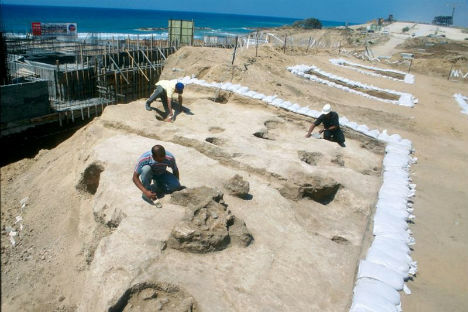 Found in 1988 in Ashkelon, the remains indicate that the babies died before three days of age, and show no signs of disease or skeletal malformation. While scholars hypothesized that the babies were girls, since female infanticide was common during that time, tests have since shown that many were male. The reasoning behind their death is still a mystery. The earliest archaeological evidence of leprosy is found in a 4,000-year-old skeleton unearthed in India in 2009. Leprosy is difficult to study because the bacteria that causes it is tricky to culture for research, and scientists are still unsure of exactly when and where it originated. This skeleton was not only the oldest leper ever found, it was also the first evidence of leprosy in ancient India, supporting the idea that the disease migrated between Africa and Asia during a period of urbanization, growing population density and new trade routes. The peat bogs of northwestern Europe have turned out to be one of the richest sources of ancient human remains in the world, preserving bodies so perfectly that they sometimes still contain blood and stomach contents. 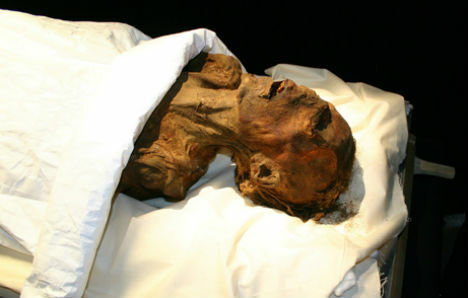 ‘Bog bodies‘ such as the Grauballe Man, pictured, date from 8,000 B.C.E. to the early medieval period. It seems that these people were not buried in the peat bogs, nor did they simply die there – they died violently. Researchers believe they were most likely sacrificed, or executed as punishment for crimes or perceived flaws. Three human skulls found in Gough’s Cave, Somerset, England were carefully worked into the shape of bowls, indicating that they were used to drink from. At 14,700 years old, these are the oldest skull cups ever discovered, and they were surrounded by other human remains that had been snapped to get to the marrow inside, suggesting cannibalism.